In this post, is explained the true meaning of Om-ॐ and it importance in Mantra Chanting, especially in Kundalini Awakening. Many practitioners of Mantra Shastra, normally chant Om mechanically without understanding what it really is and the power it generates in the Mantra. Let’s look at the composition of Om and the true meaning of the each of the 3 letters that combine of make the Om Sound or Vibration. Om – ॐ is Root or the Beej Mantra of Creation or the Cosmos. The entire Cosmos vibrates to the seed sound of Om. It is the sum total of all the sounds present in the Cosmos or the cumulative sound of all vibrations present in the Cosmos. Thus, Om is the sum total of Brahma, Vishnu and Shiva or Creation, Preservation or Destruction. 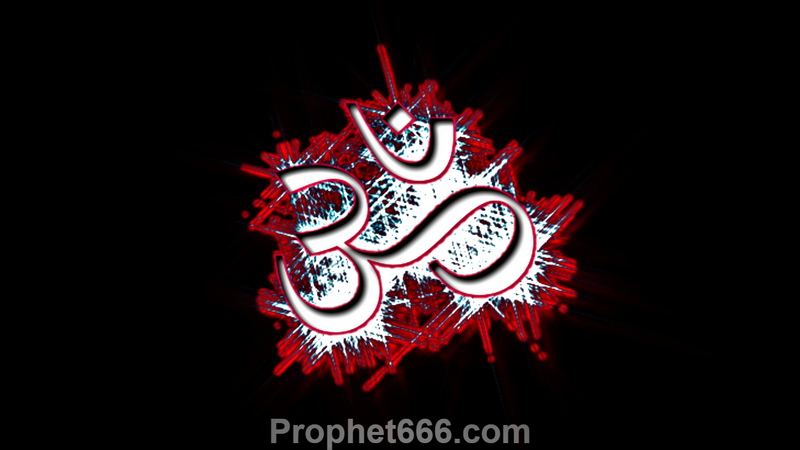 Om comprises of 3 letters A, U, and M.
A is the Beej Mantra of Creation or Brahma. U is the Beej Mantra of Preservation or Protection or Vishnu. M is the Beej Mantra of Dissolution or Destruction or Shiva. Om is the Pranava or Life or that which infuses or breathes Life into everything in Creation. The Cosmic Consciousness is called as the Para Brahman and “The Word” or Shabd Brahman is Om. The spiritualist striving to understand the nature of the Para Brahman has to first understand the Shabd Brahman, in other words “The Word” has to be transcended in order know or reach God. Om has to be Meditated upon and not chanted mechanically, while meditation upon Om, the practitioner should visualize its vibration in his mind. Listening to the Om Meditation and being completely being immersed in it is one of the best of methods of Om Meditation. Jhingur Ki Awaz or Cricket Chirping- After the Kundalini Shakti emerges from the Muladhara or Root Chakra. Nupur Ki Awaz or the Sound of Anklets when the Kundalini Shakti crosses the Svadhisthana or Sacral Chakra. Ghante Ke Awaz or Sound of a Bell when it crosses the Manipura or Solar Plexus Chakra. Bansuri Ki Awaz or Sound of a Flute when it crosses the Anahata or Heart Chakra. The Sadhak starts hearing the Sound of Om when the Kundalini Shakti crosses the Vishuddha or Throat Chakra. After the Kundalini Shakti crosses the Anja or Third-Eye Chakra, there is a Golden Silence. Thus, all form of sound and vibrations arise from Om or Omkara, it is the sum total of all sounds of the collective vibration of all vibrations in the Cosmos, including those experienced during Kundalini Awakening. The Sound of Om or the Shabd Brahman has to be transcended in order to connect with the Para Brahman and that happens when the Kundalini Shakti crosses the Sahasrara Crown Chakra. Would you kindly enlighten us with the advantages of kundalini sakthi. How can a Person use this sakthi for improving and betterment of his life? Can he change the mind set or thinking of others? Can a psychiatrist help others with this sakthi of his? Yes, a psychiatrist can certaily help others if his Kundalini Shakti has been awavakened, betterment comes immediately after awavekening and the practiioner automatically knows what to do and when. Please join sahaj yog, your kundalini will be awakened, you will become realized soul.